Want it customized with a Club, District or individual's name? 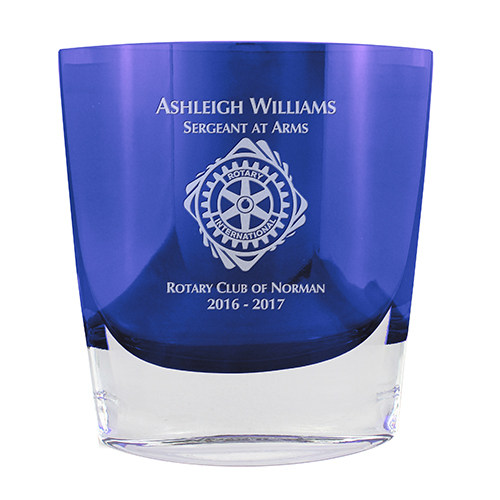 We have put the crystal and glassware items that can be customized all together in one place for you. Just click on any image above. Waterford, in its tradition of uncompromising quality, presents its Marquis by Waterford line of products. 3-7/8" square x 3-3/4" high. 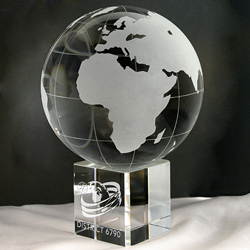 It is crafted by Europe’s finest artisans - 7" tall. 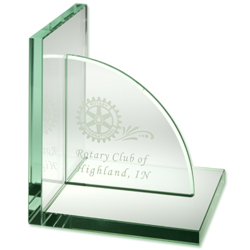 7.5"H x 3.75" x 2.5"
Mouthblown in Poland and etched with the Rotary International emblem. This item is not available with customization. Delicate strands of shiny silver-colored wire grace the right and bottom sides of the front panel of the vase.